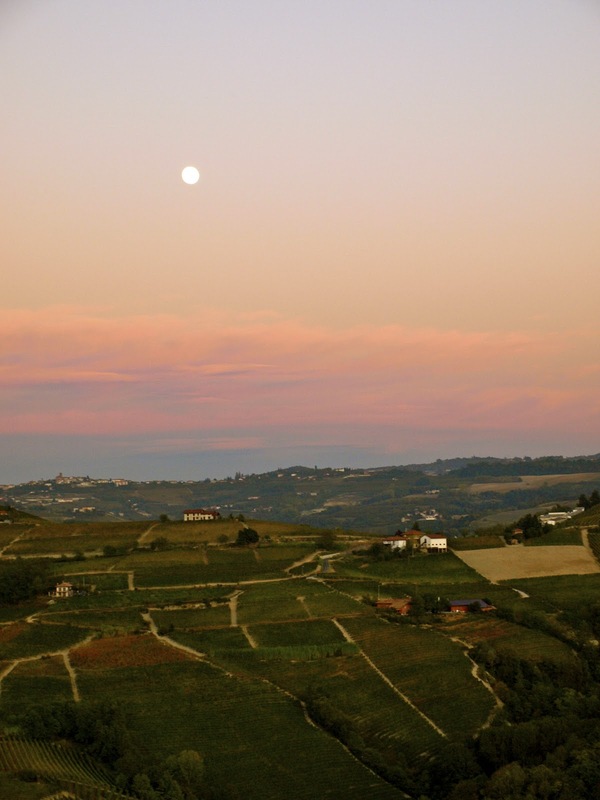 Becoming Italian.....: Full moon over Barolo. 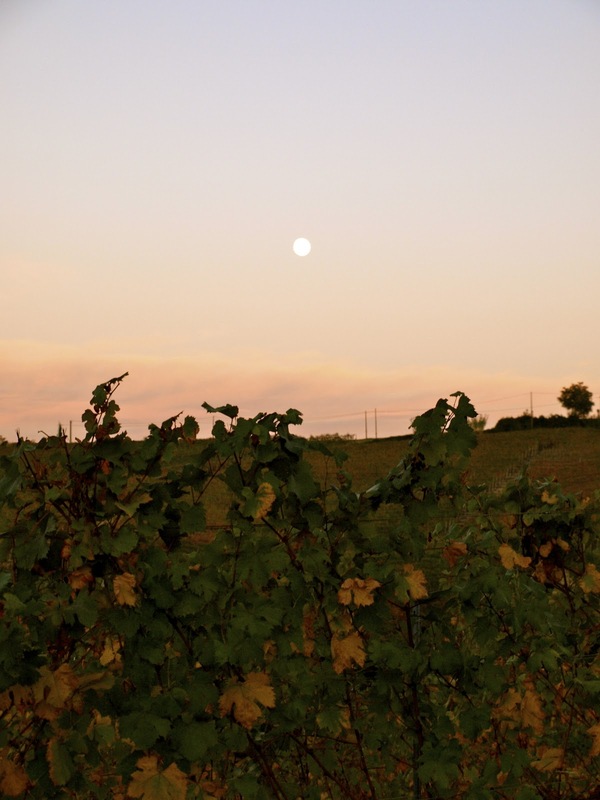 Every day I pass by the vineyards I am beginning to see the colors of the leaves change into the most beautiful colors of fall. Tonight while driving, I had to pull over so I could snap some photos and share them with you. Just imagine the smell of wood burning from fireplaces mixed with the chill of the Autumn air, and this stunning full moon in the distance. Welcome to Barolo! What we drink when we are not drinking Barolo. My home in Castiglione Falletto. Words of wisdom. RIP Steve Jobs.